A weekly newspaper journalist turned author has used the village where she grew up as inspiration for her latest novel. 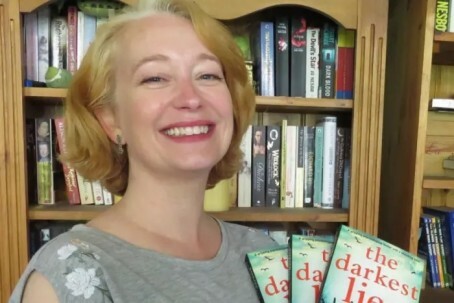 Barbara Copperthwaite, who began her career on the Skegness Standard, has recalled her childhood in the Lincolnshire village of Friskney for psychological thriller The Darkest Lies. It follows the impact on a community when a young girl is found beaten on the marshes in the fictional village of Fenmere. Barbara was on the Standard from 1993 to 1996, and went on to work in the national press and magazines. On the inspiration for her novel’s setting, Barbara said: “I can’t imagine the book being set anywhere else. This is my homage to the beauty and atmosphere of that place. The Darkest Lies follows novels Invisible, which was released in 2014, and Flowers of the Dead, which came out in 2015. Barbara, 43, added: “I’ve interviewed the real victims of crime, and those who have carried these crimes out. Thanks to those people sharing their stories with me, I know about the emotional impact of violence and wrong-doing.